Properly corralling my passions is something I sometimes struggle with. Take cooking for example. My love of creating at the stove leaves me more than a little vulnerable to the swirling vortex of recipes that are available EVERYWHERE, from magazines and cookbooks to television and the blogosphere. Even before the internet was invented, organizing the recipes I collected was a challenge. I’d hear an idea that appealed to me, scratch it down, and tuck it away somewhere for future trial. Nine times out of ten, I’d forget the hastily-written-down recipe existed. Either that or life got in the way and the would-be creation got back-burnered, so to speak. When I began, ten years ago, a healthier way of eating which led to a 180-pound weight-loss, I decided it was time to take a look at the recipes I’d clipped from magazines or scratched onto a piece of paper during a talk show. The ones that were largely dairy, sugar, fat, and white-flour based got the heave-ho. After a lifetime of emotional eating, binge-eating, and comforting myself with food as an escape, I’d found more effective coping techniques. But I still adored cooking. 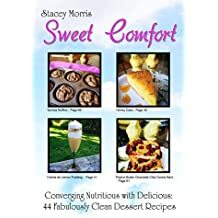 So I transfigured that love into three cookbooks filled with recipe makeovers of foods such as New England Clam Chowder, Meatloaf, and Chocolate Cake, that I don’t want to entirely give up. Even with my pared down collection of recipes, I’ve come to terms with the fact that I probably won’t get to them all in my lifetime, but I’ll sure give it a shot. Yesterday, as I was rifling through my cookbook collection, I found a slip of paper from 1993. It was an entree recipe scribbled out while watching Regis and Kathie Lee one morning, and it was Kathie Lee Gifford’s recipe, presumably one of her family-favorites, for Sweet and Sour Chicken. The ingredients were fairly simple and while not exactly health-food, certainly weren’t on the damaging end of the spectrum. Regular readers know my policy: diets and ‘never-again’ directives only backfire, so I vacillate between ultra-healthy, semi-heathy, and decadent food choices. It works for me and I’ve kept my weight off for nearly a decade! For my take on Kathie Lee’s recipe, I chose sugar-free apricot jam, canned pineapple in its own juice, and the best quality Russian dressing I could find. Actually, I couldn’t find any Russian dressing in Fresh Market’s refrigerated dressing section so I chose French and it worked fine. Since I didn’t write how much chicken or what variety, I winged it and used about two pounds of boneless breasts, cut into chunks. It yielded plenty of extra sauce, which is perfect if you’d like to serve this over pasta or rice. Yesterday was a watch-the-starch-intake day for me so I presented it to Chef Bill with sauteed spinach and it was fantastic! Bill adores Asian cuisine and he declared this a viable option for when he’s got a craving for Chinese. My philosophy is, sure I love eating at restaurants (it’s part of how I got to 345 pounds!) but there’s nothing better than food made at home with love. And homemade food has a much higher likelihood of being healthier than restaurant food. Chef Bill is also a veteran of the restaurant business and assures you that in most high-pressure commercial kitchen, the food’s rarely imbued with amore. An aside: I’m coming to terms with clutter, and be default, deferred dreams, hopes, and decisions. Besides chucking out recipes I know I’ll never use, I’ve done the same with clothing, books, photographs, and general knick-knacks. Weight-loss and general health and balance are about the entire picture of one’s life – not just calories in/calories out. A wise teacher of mine pointed out that clutter and weight are related burdens. The state of our closets, drawers, basements, cupboards, and refrigerators are a reflection of our mindset. It hit home for me. And Thank God I was ready to take an honest look at my habits. I love getting emotionally charged with what sounds like a great idea. New recipes often seem like a great idea, so I acquire them, one way or another. But follow-through is often a different story. So what I end up with is actually not great ideas that are brought to life and lived out, but a collection of wishes and what-if’s. Have no idea what this fragment is, but it’s emblematic of my former frantic recipe-capturing practice. And I was astounded to realize it’s kind of hereditary. A few months ago I sifted through an entire bag of paper scraps that were my grandmother’s recipe collection. They were scrawled on the back of bridge tournament score sheets, calendar pages, school bulletins. They were, in essence, a mess. I spent an entire afternoon looking through them, throwing most of them out, and selecting a few I intend to recreate. I’m glad I did it. My grandmother died when I was three, so I never got to know her. After this marathon session with her recipe collection, I felt imbued with her energy and left with a feeling of spending time with her. It was nice, but also exhausting. And I decided I’ve got a little more work to do in terms of being unburdened and more focused with follow-through. So when I came across this extremely appealing recipe courtesy of Kathie Lee, I didn’t hesitate. I made it for dinner that very day and it felt marvelous to not only follow-through, but serve the fruits of my labor with my beloved. Hope this inspires you to do the same. Below is my version of Kathie Lee’s recipe, amended to be lower in sugar. So glad I found it, and more importantly, TRIED it before entombing it back into its hiding place for another 25 years. Preheat oven to 350. Rinse chicken and cut into chunks. Place in a large casserole dish that has a lid. In a small mixing bowl, add dressing, preserves, soup mix, and pineapple. Whisk vigorously until blended and smooth, then pour onto chicken. Bake covered for 30 minutes, then uncovered for another 10-15. Serve immediately. The extra sauce is perfect over rice, quinoa, or orzo pasta.